Shivaji Satam to return as ACP? It ain't easy to give up a show after playing its lead protagonist after eight years. And monetary considerations are less likely to come in the way, when you share as good a rapport as do CID producer B P Singh and Shivaji Satam, the ubiquitous ACP Pradyuman, who's being shown thrown out of the police force. After letting out that television heartthrob Rajeev Khandelwal will take over the reins as the new ACP Prithviraj, the producers are loath to reveal any further. But our sources say that while Rajeev may or may not be a part of CID in the long term, Satam will surely make a comeback. Rajeev himself will be around for an estimated 16 episodes, we learn. Staunch Satam supporters and colleagues Dayanand Shetty (who plays Daya) and Aditya Srivastav (who plays Abhijeet) confirm Satam's eventual return, albeit indirectly. Says Daya, "Shivaji cannot be out of the show. If he is out, then there will be no Daya, no Abhijeet and CID will automatically shut down. Rajeev replacing Shivaji? Rajeev cannot carry it off, in fact no one can replace Shivaji. Rajeev has just been introduced for some episodes. But Shivaji being out of CID is just not possible," he stresses. Aditya echoes his words. 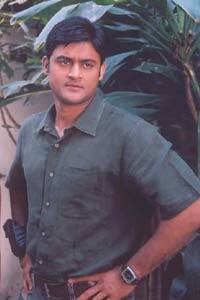 Manav Gohil, who plays Daksh and is slated to die in the forthcoming episode is as shocked on hearing about Shivaji's suspension from the eight year old show. "I haven't been shooting for a while so I am not really aware of what's happening. I have no doubts about Rajeev's calibre, he is good looking and popular too, but this is shocking news!" CID's supervising producer Yash Patnaik, while refusing to comment on Satam's role, says the show is going to have some new elements. On the exit of Manav, Yash says, "People say that Manav has been dumped or has walked out, but that is not true. If one notices, apart from the main characters, we keep introducing new characters on the show; some time ago, there was Smita Bansal, who also has left the show. It was decided from the very start that Manav will be around for a year and we would see how his character shapes up." He adds, "We are in the process of short listing new people. CID cannot have a typically new look as we have a very loyal audience but there will be novelty in terms of techniques." Is the show going to be projecting any kind of rifts between the new ACP and the old CID team? 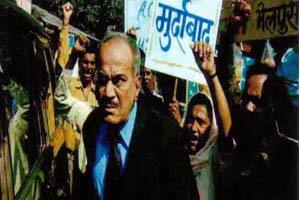 "See, where there is a change, people react and the same notion is applicable to CID too. There will definitely be some reaction and friction on the show," says Yash. While Manav departs, wife Shweta Kawatra remains a part of CID Special Bureau as Dr Niyati Pradhan. Shivaji Satam was not available for comment, as he is in London, for the screening of his new Marathi film, Uttarayan.